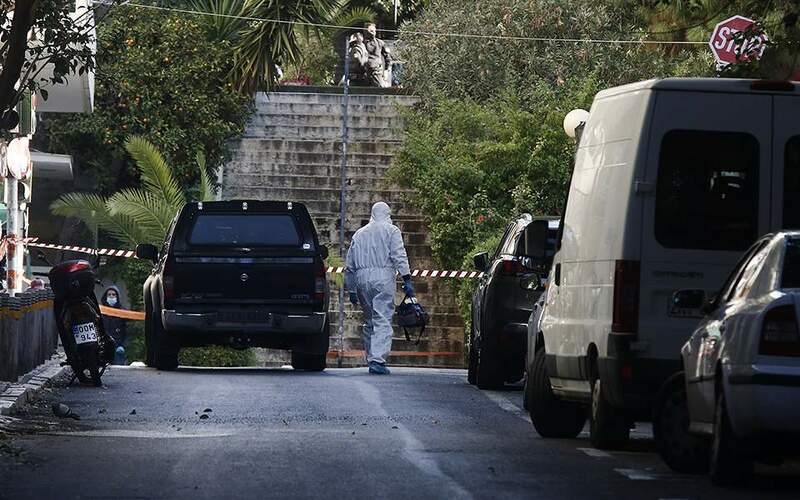 A homemade explosive mechanism blew up outside Aghios Dionysios church in the upscale Athenian district of Kolonaki on Thursday morning injuring a policeman and the church caretaker, Greek media reported. The device was placed inside a shoe box discovered by the church employee who notified police, according to the head of the police’s special guards union, Stavros Mavroidakos. He said there was no warning call. The bomb injured the officer who arrived to examine the package on his face and hands and was transferred to a military hospital, TV station Skai reported. It was not immediately clear how serious his condition was, but media reports indicated his life is not in danger. The church caretaker also suffered minor injuries and was sent to the nearby Evangelismos hospital. Police sources told state-run news agency ANA-MPA the device was made up of two containers with flammable liquid, wires and a clock, and that the explosion was small. A priest from Aghios Dionysios told Skai a holiday service was planned later in the morning. Officers of the counter-terrorist unit have cordoned off the area.